The Slavs are pleased to announce our spring 2013 tour to Atlanta! The Slavic Chorus join’s children’s Russian folk Ensemble Kalinka of Atlanta Russian School no. 1 for an exciting educational set in the library’s auditorium! Featuring selections from the Chorus’s wide-ranging repertoire of liturgical pieces, folk tunes, jazzy arrangements, and everything in between, from Bulgaria, Georgia, Russia, Croatia, and beyond! Tickets $5.00-$10.00, sliding scale. A relaxed evening with our friends at 4WAKO, a nine-piece klezmer-funk-rock-jazz ensemble that performs original compositions and arrangements combining West African rhythms with Eastern European klezmer melodies. Check them out on the cover of August 23’s Creative Loafing Magazine! Tickets $8 at www.tightbros.net. 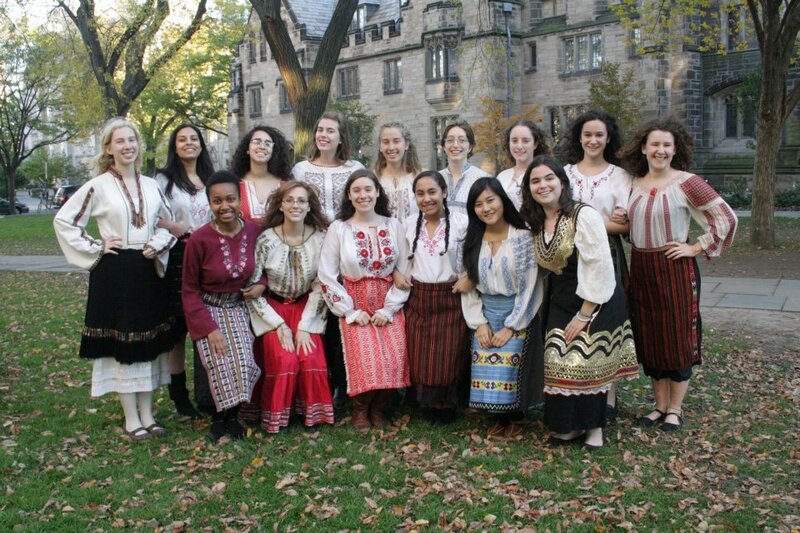 Yale Slavic Chorus with Oy Klezmer! Join us for an evening of music from the old country. Oy! Klezmer will spice up the night with Israeli, Yiddish and Ladino folk tunes, Hasidic music, Klezmer-influenced swing, Yiddish theater songs, dance tunes from all over Eastern Europe, and favorites from the Klezmer masters. Look for some exciting collaborative tunes! $5-$10. A concert highlighting the Chorus’s extensive Bulgarian repertoire, featuring folkdancers from the Atlanta Bulgarian School! Subscribe to our Publicity GCal to transfer these events to your calendar!